Reiko, Empress of Japan, has allied herself with Princess �rlaith, heir to the High Kingdom of Montival, to find the Kusanagi-no-Tsurugi, the Grass-Cutting Sword, a legendary treasure of an ancient dynasty that confers valor and victory to its bearer. �rlaith understands all too well the power it signifies. Her own inherited blade, the Sword of the Lady, was both a burden and a danger to her father, Rudi Mackenzie, as it failed to save the king from being assassinated. But the fabled sword lies deep within the Valley of Death, and the search will be far from easy. And war is building, in Montival and far beyond. 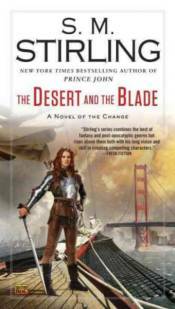 As �rlaith and Reiko encounter danger and wonder, �rlaith�s mother, Queen Mathilda, believes her daughter�s alliance and quest have endangered the entire realm. There are factions both within and without Montival whose loyalty died with the king, and whispers of treachery and war grow ever louder. And the Malevolence that underlies the enemy will bend all its forces to destroy them.